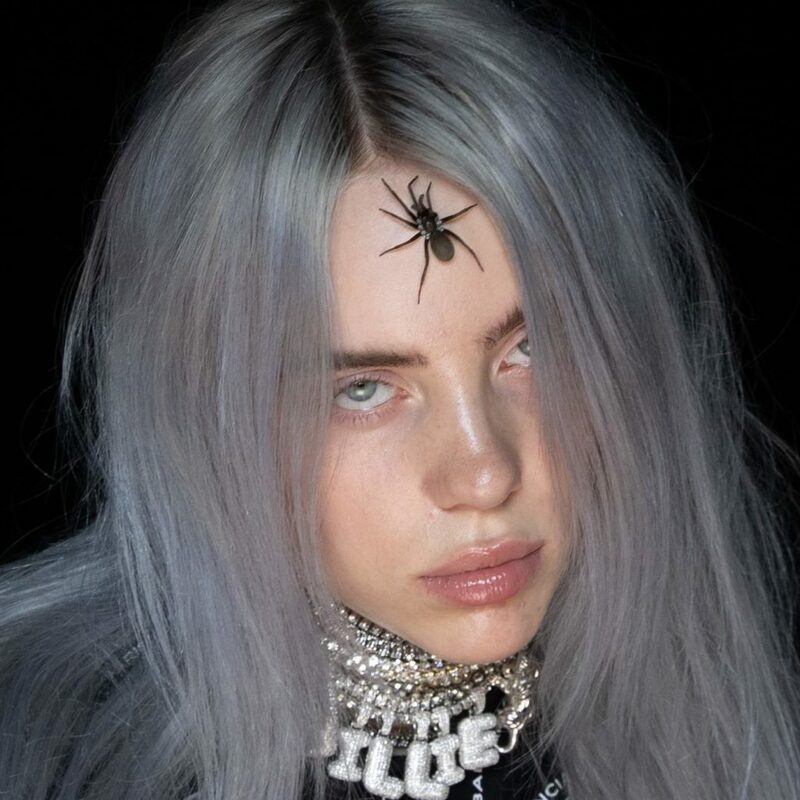 Spiders and possessions may make some people feel uneasy; as for Billie Eilish, it is just a part of her musical aesthetic. Alternative singer and songwriter Billie Eilish has grown significantly among listeners and fans after releasing singles like “Ocean Eyes” and “Lovely” in 2016 and 2017. Today, at just seventeen years of age, Eilish has over twenty-five million monthly Spotify listeners with multiple hit songs within the top 100 spots on Billboard charts. So what makes this teen artist stand out amongst the crowd? The more and more you listen to Billie Eilish’s music, the more you can feel the uncomfortably dark and mysterious layers in the tone of each song. Each song contains a variety of sounds from softly sung lyrics and harmonies to rebellious beats and brain-rattling bass. The lyrics knitted into this music flow smoothly from line to line as if arranged for a spoken word poem, with some lyrics being just as deep as the bass at times. Relatable emotions from dwelling love to melancholy struggles are breathed into the lines of the singer. 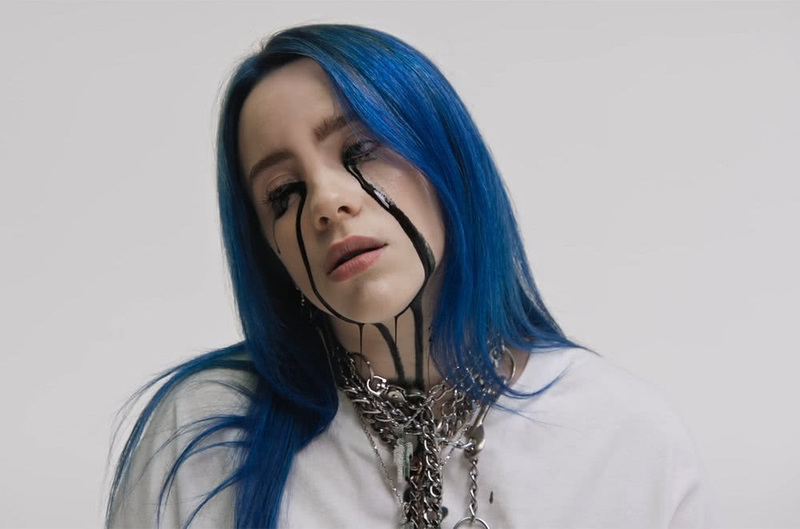 Billie Eilish’s music has taken another step forward, expressed in disturbing scenes in music videos. If you are an arachnophobic, you may want to skip the vertical music video for “you should see me with a crown.” Along with spitting lyrics, you’ll find Eilish spitting a spider from her mouth as others crawl amongst her face and body, while some remain webbed in her crown-covered hair. In other music videos, you’ll find her lyrics symbolized through inescapable rooms, gripping walls, and even dance performances. You may even find tears of black streaming down her face in her own choreographed music video “when the party’s over” – a song originally written by her brother. After releases of such music, Billie Eilish has been a featured artist on shows such as The Tonight Show Starring Jimmy Fallon in April of last year. On The Tonight Show, she performed her almost Latin-feeling “Bellyache.” Later in the year, Eilish performed her newly released single, “you should see me in a crown” on The Ellen DeGeneres Show. With publicity on TV shows, radio stations, and throughout the internet, Billie Eilish has grown in audience since her start in 2015. Last Wednesday, January 30, Billie Eilish started the first stage of her release for her debut album, WHEN WE ALL FALL ASLEEP, WHERE DO WE GO?, with the kick-off of her pre-order for the album. This album will contain a couple recent releases along with twelve new tracks. Available now from this album includes the previously released songs “you should see me in a crown” and “when the party’s over.” Also available is her new bass-booming and uncanny track “bury a friend.” Released on the same day was her music video for “bury a friend,” which shows the eerie possession of Eilish that was foreshadowed in the cover of this album. What you can expect from this debut album is a variety of sounds throughout each of the fourteen tracks. Eilish says to Zane Lowe from Beats 1, “If you put 14 people who like different genres into a room and plop WHEN WE FALL ASLEEP, WHERE DO WE GO? in front of them, I want every single person in that room to like at least one song.” She states that the whole album is “supposed to be a bad dream, or a good dream.” With daring track titles, you could almost predict the mood that is coming with this album. However, Eilish always has surprises. Billie Eilish’s debut album, WHEN WE ALL FALL ASLEEP, WHERE DO WE GO? will be available across music platforms on March 29 of this year. Previous articleShould You Take a Gap Year?